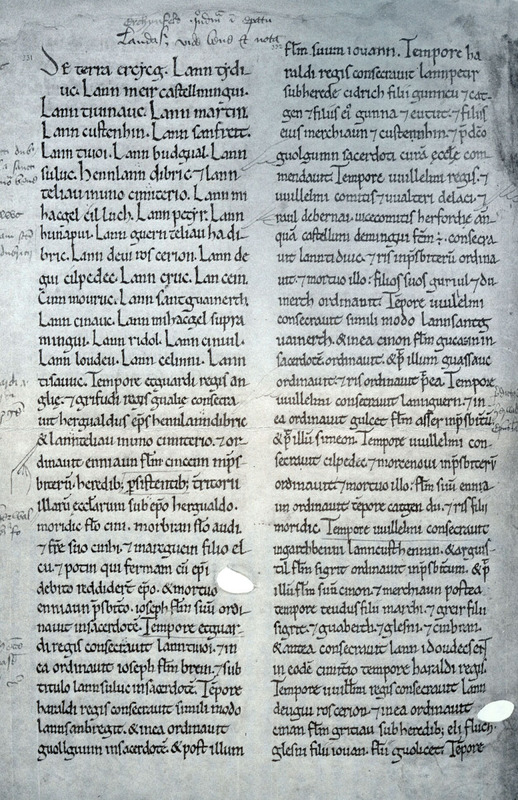 The Book of Llandaff was written between 1120 and 1140, under the supervision of Urban, who was appointed bishop of Llandaff by the king of England in 1107, and consecrated by the Archbishop of Canterbury. 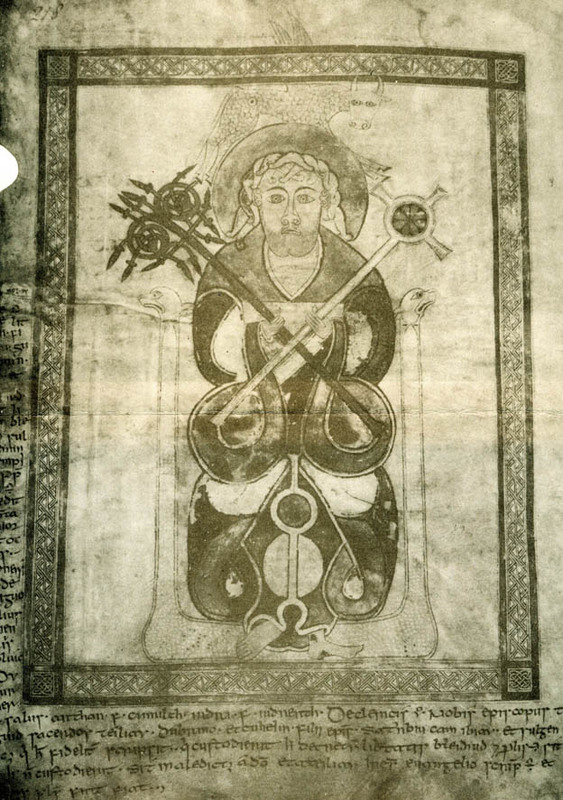 This book, Liber Landavensis, is one of Wales’s earliest ecclesiastical manuscripts. It is a manuscript of considerable bulk comprising 128 vellum pages. Inside its covers the early history of the diocese of Llandaff is chronicled and the contents also throw light on the state and position of the church in one area of Wales soon after the Norman Conquest. Historians believe that it was written in the wake of a disagreement between Urban and the bishops of St David’s and Hereford regarding the boundaries of Llandaff diocese. It was hoped that the contents of the book would strengthen the rights of that diocese to lands and properties in south east Wales. 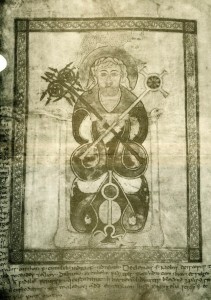 The original copyist recorded a large number of charters in the volume – some authentic, others later certain forgeries. These charters revealed details about the property and territorial rights of the Diocese of Llandaff based on alleged donations over a period of 700 years between the 5th and the 11th century. The intention was to raise the status of the diocese, and that was substantiated by also recording in the volume the lives of the three earliest bishops of Llandaff, namely, Dyfrig (Dubricius), Teilo and Euddogwy). Dubricius was born not far from here in Madley, and the church just down the road from Kilpeck is dedicated to him. He must have known the area well. Be it known unto all Christians dwelling in the south part of Britain, and especially be it known between the Guy (Wye) and the Tyui (Towy), that Favu hath given the church of Cilpedec, (Ecclesia Cil Pedec in Erciog) with its land around it, for his soul, to God and Saint Dubricius and into the hands of Bishop Grecielis……. This earliest mention that we have of a ‘church’ here tells us nothing about the form of that church, but, since the churchyard is in the form of a curved Celtic one, the ways and thoughts of the inhabitants would have been close to the natural world. Many of the churches in Herefordshire that were once dedicated to Saxon saints were re-dedicated to Norman saints during the medieval period. Although Christianity had been recognised as a religion in Britain since 313, the old Celtic gods remained popular with the natives. Pebiau was King of the region of Ergyng (Archenfield. The region stretched from the river Monnow eastwards covering the Wye Valley and most of what is now Herefordshire. 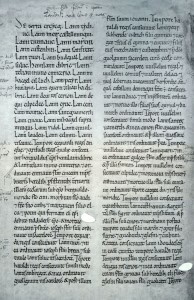 Peibiau occurs in three charters in the Book of Llandaff recording that he gave Kilpeck to Llandaff.